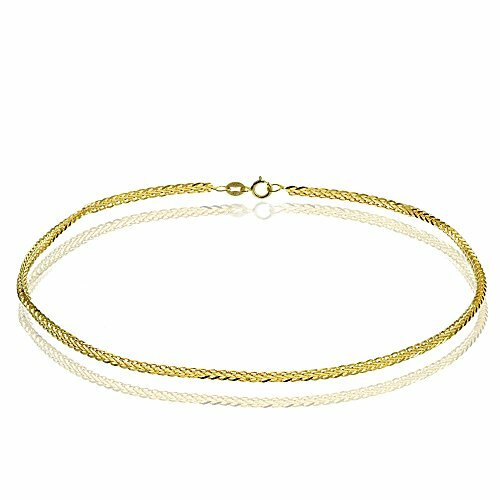 This Italian anklet features a spiga wheat design in 14k yellow gold, .8mm wide. It is secured by a spring ring clasp. 14k White Gold Anklet with Spring Ring Clasp - 9+1"